We invite you to check our record with Better Business Bureau, Angies List, Google Reviews and our customers. You won’t be disappointed! When you contact us for Plumbing Services in New York, we will be glad to answer all of your plumbing questions and offer you a fair and competitive estimate for the plumbing repair and services you need. Our certified plumbing service technicians do it all with a smile because we care about our customers. We handle all General Plumbing Repairs and Services. We are able to provide the latest plumbing fixtures, toilets, faucets, gas and electric water heaters, tank and tankless water heaters available on the market. There is no job too big or too small for our experienced Plumbers serving the New York area. Rolland Reash Plumbing has over 25 years’ experience providing the best residential plumbing services in New York, Rolland Reash Plumbing makes it our mission to allow you to live comfortably without having to worry about plumbing issues. From small bathroom issues to major pipe bursts, our residential plumbing company. 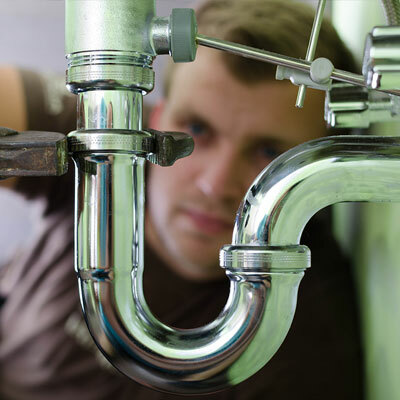 Expect from Your Residential Plumbing Services? You can expect pipe repair and installation, fixed leaks and more, from our residential plumbing services New York. We provide you with all information and prices upfront without hidden fees. Our plumbers have been screened and have undergone an in-depth background check. Our plumbers handle more than just basic plumbing repairs. We can install bathroom fixtures so you can easily update your bathroom. At Rolland Reash Plumbing, you are never left in the dark. Each step that we take in the plumbing process will be voiced to you, so you can fully comprehend what we will be doing. Give us a call today for toilet, sink clogs, broken pipe, and slab leak or water heater repairs. Can I Call Rolland Reash Plumbing for Toilet and Sink Clogs? The Rolland Reash Plumbing have the solutions to unclogging toilets and sinks in a timely and professional manner. Many people feel embarrassed to call a plumber for such a trivial matter, but if not unclogged, you could be dealing with a serious water overflow. Our residential plumbing services in New York, offer 24/7/365 to service you with any major clog. We have the proper tools and are thoroughly trained to get your faucet, toilet, shower or tub unclogged almost instantly. .
Why Work with Rolland Reash Plumbing? You should work with Rolland Reash Plumbing because we are more than just your basic plumbing company. We offer unparalleled services matched by professionals with in-depth plumbing knowledge. The plumbers at Rolland Reash Plumbing have dedicated time to learning the correct procedures and know how to manage each project with complete precision. The team at Rolland Reash Plumbing makes it our goal to provide so you won’t need to repair your repairs. We understand the guidelines and building codes to provide you with a successful plumbing solution. Rolland Reash Plumbing guarantees that our work meets your satisfaction – every time. After all, customer satisfaction is our 1st priority as a trusted plumber in New York. 10 Year Parts and Labor Warranty. Price includes $200.00 off coupon. $450.00 for the first 4 hours. Price includes putting cement back. Worn or damaged plumbing pipes can lead to various problems in your home. Galvanized iron pipes in older houses eventually corrode which causes rust in your water supply; Copper water lines will rot away and could result in water damage due to leaks or breakage. It could be time to install new pipes if you notice a drop in water pressure, see or smell mildew. The average galvanized pipe lasts around 40 years and copper pipe last around 20 years before it will need replaced. How is a Repipe Done? If you have a cement slab home, most of the time the new water line are installed in the attic and dropped down in the 2 by 4 walls to the plumbing fixture. This process might require sheetrock being removed. This is the process used if you have a large attic. A few homes on concrete slab might need to be dug around the home to install new pipes. If you do not have any attic space you would use this process. You dig around the home to each fixture and install the new pipes. If you have a home that is off grade (you can crawl under), you can install all the new water lines under the home. The two examples above the new water lines in the attic should be strapped and insulated. All hose bibs should be anchored and insulated. This is just a brief description, for more information abut Slab Leak Repair Services in New York On all our re-pipe we use Brass ball valves and connectors to make our work last a long time. What if I have Copper Pipes? Most pinhole leaks are caused due to corrosion. There is a chemical reaction from the water and the copper pipe. The water pressure will find a weak spot usually close to a soldered fitting. The reason for this is when you heat a metal you weaken it and the integrity of the pipe is compromised also they used an acid based flux and unfortunately inferior workmanship when they applied too much heat and did not wipe off excess flux. Another reason for leaks is lightning. We live in the lighting capital of the world. We defiantly get busier with leaks during lightning storms. If lighting does hit the water lines it usually creates a series of weak spots. Also the electrical ground is typically grounded to copper usually at a spigot. This causes electrolysis where we have found most first leaks occur close to the ground. When we re-pipe we eliminate all of the above. The process for a typical home is: We either take the water from PVC outside the home or from the water meter if copper is run from the meter to the home. We then reroute the water lines overhead and down the walls using our expertise to do the cleanest job possible with as little inconvenience to the homeowner as possible. A typical home will be re-piped in one day with drywall repair done on the second day. Larger homes take longer but the homeowner is never left without water. We do not sub contract our work like some companies. Our re-pipe crews re-pipe, every day and are trusted long time employees, not someone in between companies. We do recommend replacing water heaters that are 10 years or older. When re-piping we can provide water heaters at cost with a considerable savings to the customer. What if I have Polybutylene Pipe (poly)? Poly is a gray pipe with crimp fittings which are usually copper or brass, originally plastic fittings were used. There were several class action law suits due to these plastic fittings failing and splitting hence flooding. However back in the 90’s we were not seeing any problems with the pipe itself. However several years ago we started to see problems with the pipe itself splitting and flooding. The high chlorine content in our water is drying the product out and forcing it to split. Poly was designed as a flexible pipe, rather than using fittings for every change of direction or offset the pipe would be bend, it is typically were we see the failure occur as the pipe is strained at this point creating a weak spot. The alarming thing here is upon splitting it floods quickly as full pressure pumps water through out your home or business unlike a pin hole leak on copper which does minimum damage in comparison. Most insurance companies will not insure Polybutylene Pipe due to the amount of damage which occurs from a failure. Currently this issue arises when a home owner is selling, buying or changing insurance companies. Our Residential/Commercial Service and Plumbing Repair New York are unmatched in the Northern Florida area. We guarantee that our work meets your satisfaction – every time. After all, customer satisfaction is our 1st priority as a trusted Plumber in New York. Price includes water heater installation and removal of old water heater. For a larger heater please give us a call for a price! 6 Years Part and Labor Warranty! No extra piping to be installed hot water in 30 seconds or less. 1 Year Parts and Labor Warranty! Please call for your Estimate. We will need to ask a few questions for the gas water heater installation. Tankless water heaters, also known as demand-type or instantaneous water heaters, provide hot water only as it is needed. They don’t produce the standby energy losses associated with storage water heaters, which can save you money. The initial cost of a Tankless water heater is greater than that of a conventional storage water heater, but Tankless water heaters will typically last longer and have lower operating and energy costs, which could offset its higher purchase price. There are other advantages to Tankless water heater they save space, continuous hot water and they are energy star green. Tankless water heater gas type can save and average home of 4 people $1000.00 a year. Most of the Tankless water heater gas type are 95% efficient. The Hybrid Heat Pump Water Heater offers incredible savings with more than half the savings compared to a standard electric water heater. Three operating modes, the Hybrid Heat Pump Water Heater ensures that the home owner can achieve optimal efficiencies suited to their personal needs in their specific climate. With maximum efficiency and energy savings in mind, it’s the most energy efficient water heater on the market. The Hybrid Heat Pump Water Heater can save and average home of 4 people $300.00 a year. Most of the Hybrid Heat Pump Water Heater type are about 90% efficient. The first thought on tankless water heaters is generally: how much energy/money am I going to save? Well right off the bat, you’re going to be spending MORE money to get a tankless water heater and all its plumbing in place. While a tankless water heater costs more upfront, your operating costs down the line should start to make up for it. What you’re saving is in not having to spend money on standby heat, meaning you’re not wasting money heating water in a tank that’s just sitting idly waiting for someone to need hot water. Tankless systems provide that hot water on demand, instantaneously, when you need it, so you don’t have to waste energy heating unused water. You’re also not losing heat that’s idly sitting in a tank that, while insulated, is still going to lose heat and require constant reheating. The Tankless Water Heater and the Hybrid Heat Pump Water Heater are very good ideas. They both have a place in today home, but there are not for every house and you just cannot put one in anywhere. The costs are high for both water heaters. We suggest you call us first so we can help you pick the right solution for your home and provide professional Water Heater Installation in Jacksonville. Some Cities and Counties still have rebates, Please check with them be for you buy to see what their requirements are. Please do not hesitate to Call Us for a free estimate on your Tankless Water Heater or Hybrid Heat Pump Water Heater Installation. Rolland Reash Plumbing, Proudly powered by WordPress.